Speaking at an investor conference, Verizon CFO Fran Shammo shared that the company will be raising prices for FiOS and charging more for various aspects its services and products. The price hike is intended to offset the tens of billions of dollars Verizon spent on recent infrastructure upgrades, such as expanding its 4G LTE and FiOS coverage. "You'll see us do some price increases here over the next two quarters" Shammo told investors, referring to FiOS in particular. He also mentioned that Verizon plans to increase fees for set-top box and digital converter rentals, citing the comapny's recent phone upgrade fee increase as an example. 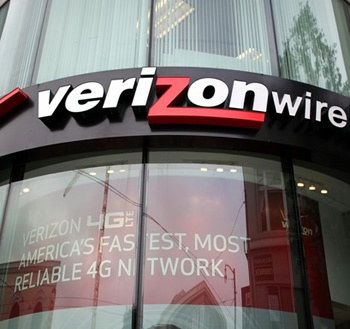 Referred to as a "game changer", Verizon also plans to introduce shared data plans. Currently, cellular customers must purchase separate data plans for each of their devices or tether them to wireless-capable devices. What Verizon is planning will do away with the need for MiFi or tethering by allowing customers to use each of their devices using a single plan. Sound great? You bet. Paying for multiple data plans on the same account has always made very little sense, so the unification of wireless device data is a welcome addition, even if only from a cost perspective. However, Shammo also told investors that Verizon expects wireless data subscribers to actually spend more. "As they add more devices, they are going to have to buy up into tiers. So again, you will see the revenue increase there." the CFO theorized. Needless to say, an increase in revenue also implies an increase in the total amount subscribers pay. Unfortunately, no details were given about what to expect in terms of the costs and fees associated with upcoming shared data plans. Also, headlines across the web are reporting that Verizon is killing grandfathered-in unlimited data plans. This appears to be false, as All Things Digital points out. Existing subscribers who enjoy unlimited 3G will continue to do so indefinitely; however, all-you-can 4G LTE will become a thing of the past. Ultimately, 3G subscribers looking to migrate to greener 4G pastures will have to settle for the only options available -- tiered plans.